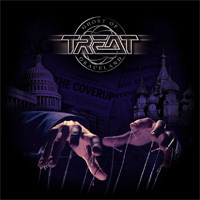 Treat made their grand return in 2010 with the magnificent Coup de Grace. It was my album of the year that year. I also remember hoping it wasn't just some "one-off" thing and they'd be back with more. Well, then there was nothing. Six years of silence. But they're back with Ghost Of Graceland. Hey guys? It's about freakin' time. I'll begin with my conclusion. There's nothing about this album I don't like. It's all killer and no filler. Classic Treat. Go buy this album. Are you still here? Okay. For some short elaboration. When I say this is classic Treat, I mean this album has all their signature trademarks. And there are many. Pure toe-tapping rock groove. Catchy melodies. Amazing vocal harmonies. Memorable lyrical refrains. Soaring guitar solos. Some nice symphonic embellishment. And all this wrapped up an immensely accessible and attractive AOR wrapper. They sound good, the songs sound great. Probably the question you're pondering at this point is, "Is Ghost Of Graceland as good as Coup de Grace?" The answer is probably, apples and oranges, rather than yes or no. By this I mean, the latter album was the one they needed to make to regain their position as one of the great classic AOR melodic hard rock bands. Ghost Of Graceland is the album that reminds us that they've always been terrific, and age is just a number when musical maturity speaks volumes. My favorite cuts: Inferno, I Don't Miss The Misery, Do Your Own Stunts, and the moving ballad, Together Alone. There's nothing about this album I don't like. It's all killer and no filler. Classic Treat. 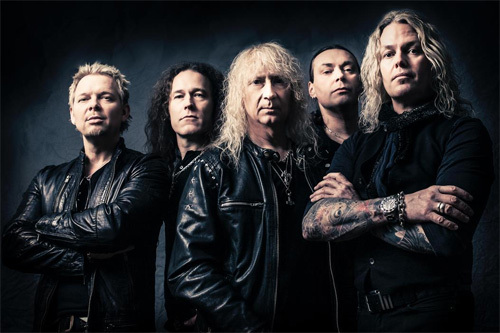 Pure AOR melodic hard rock. Go buy this album.